Desperate to obtain the resources they need to survive, Skye agreed to navigate the dangerous ruins of fallen cities to search for tradeable materials. 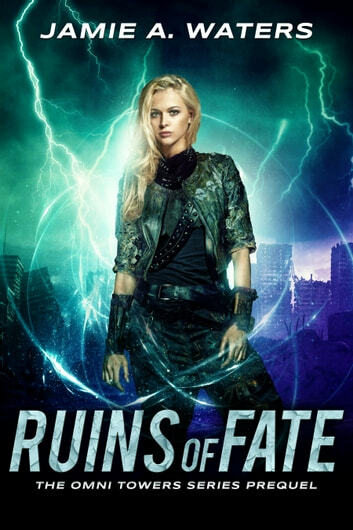 W when a strange storm forced Skye and her scavenging partner into forbidden territory controlled by The Omni Towers, a ruin collapsed, nearly taking their lives and destroying countless others. Faced with the decision to save her son or abandon her new foster daughter to a terrible fate , Skye agreed to the only possible course of action—to go into exile and take on the Omni traders in their own den. Ruins of Fate As with the rest of this series, the characters are a delight! The world building is less comprehensive than the rest of the series, but there are plenty of clues that a lot more is going on in this world. I would love to see more stories from the prequel POV. Ruins of Fate is the first book in the Omni Towers series that I've read. It's a prequel, so I'll just continue the series. It's a great story with excellent characters. I enjoyed it and it held my attention. Thanks to NetGalley for an arc in exchange for an honest review.